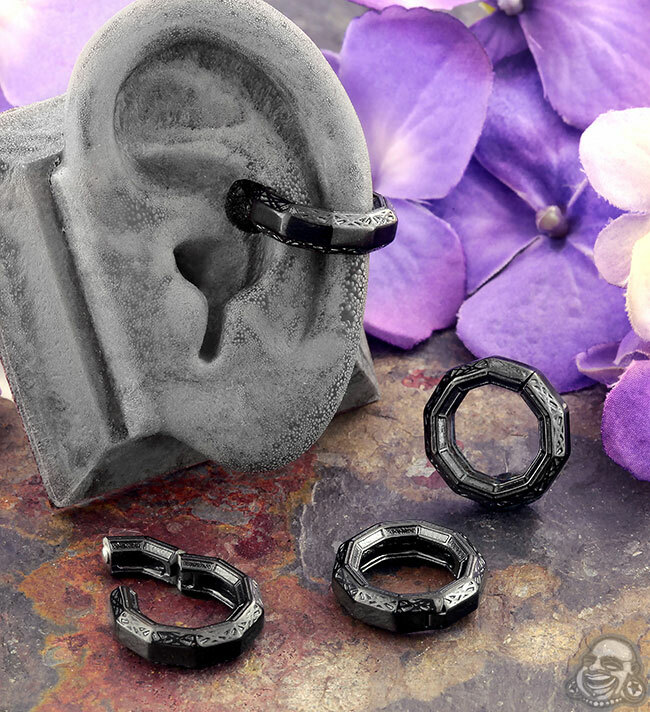 Named after the tallest mountain in our solar system, this design features delicate relief work that stretches around the ear weight, hiding the hinge. Part of the Tether Noachis Terra 2018 Collection, the Olymica clicker is named after the tallest mountain in our solar system. 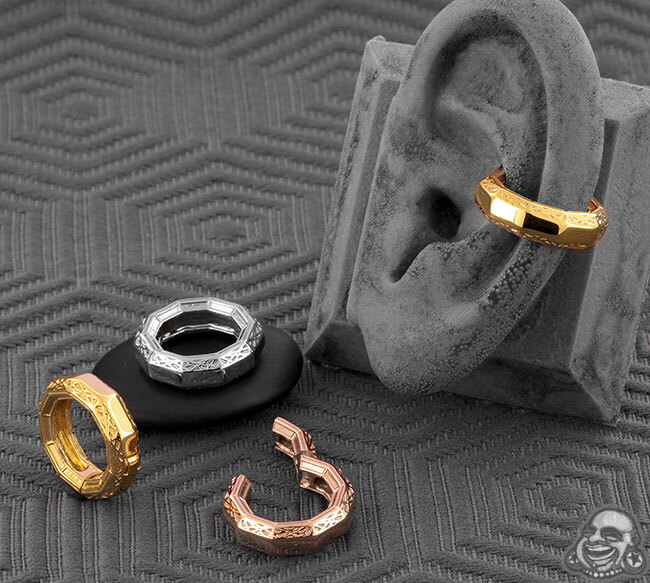 This design is available in stainless steel, black pvd plated stainless steel, or gold plated stainless steel and can easily be worn as ear weights, or through larger conch and helix piercings. You can find other weights made by Tether Jewelry here.